Okay folks, it’s official. This afternoon I sent in the nomination form and several photos of my garden for consideration in Mayor Menino’s Boston Garden Contest. Regardless of the outcome, I’m very proud of the garden this year. 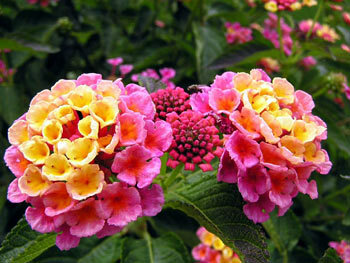 I chose a new and wide variety of plants with marvelous texture and color. I adore the Dusty Miller Silverdust I planted at the edges. And while the Salvia, Amsonia and Silver Mound have all been replaced, they offered lovely blooms for a time – a real treat for the eyes and the soul. The current garden is abundant shades of purple, white, green and pink. And all the flowers are healthy – at least today they are. 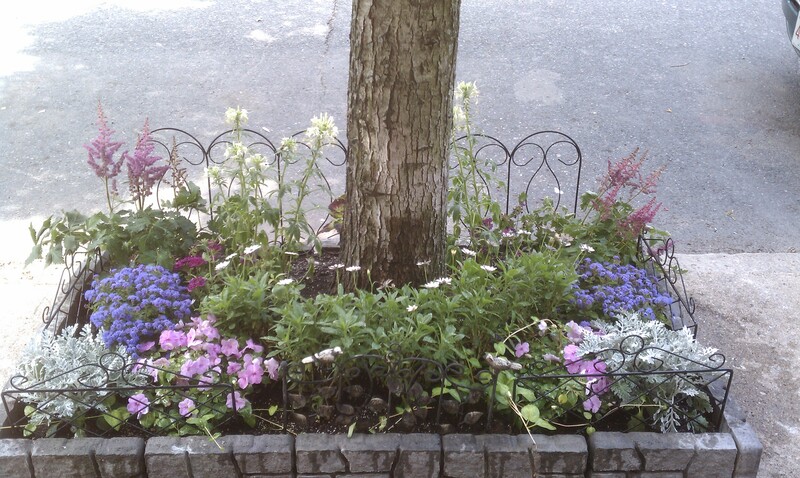 The hard heat earlier this week killed the African daisies and the purple astilbe. So I had to replace them with white dahlias (don’t you just love saying that word – Daaaahlias, darling) and a Lantana plant that has a lovely flower that looks like a wedding bouquet. Fingers are crossed that I’ll be a finalist. Thanks for all the encouragement. I’ll keep you posted! Enjoy these wonderful summer days and don’t forget to water your flowers!